Qatar has accused Saudi Arabia of barring its nationals from performing this year’s Hajj, a charge Saudi officials deny. Around 1,200 Qatari citizens are allowed to attend the pilgrimage under a quota system, but Qatari officials say it has become impossible to register for the annual religious event. Saudi Arabia, alongside the United Arab Emirates, Bahrain, and Egypt, severed relations with Qatar in June 2017, and has placed the Gulf state under a land, sea, and air blockade. Qatari nationals are also banned from entering the states, but Riyadh claims to have made an exception for the Hajj. In June, Saudi Arabia’s ministry for the Hajj announced the opening of a website, which allowed Qataris to register for the pilgrimage. However, those in Qatar say registration is impossible. Abdullah al-Kaabi of the state-run Qatar National Human Rights Committee said Saudi Arabia had shut down the system used by travel agencies to obtain permits. “There is no chance this year for Qatari citizens and residents to travel for Hajj,” he told the Reuters news agency. According to Reuters news agency, three travel agencies in Doha said they had stopped trying to sell Hajj packages. Riyadh temporarily opened the land border for the Hajj last year, but has not done so this year. 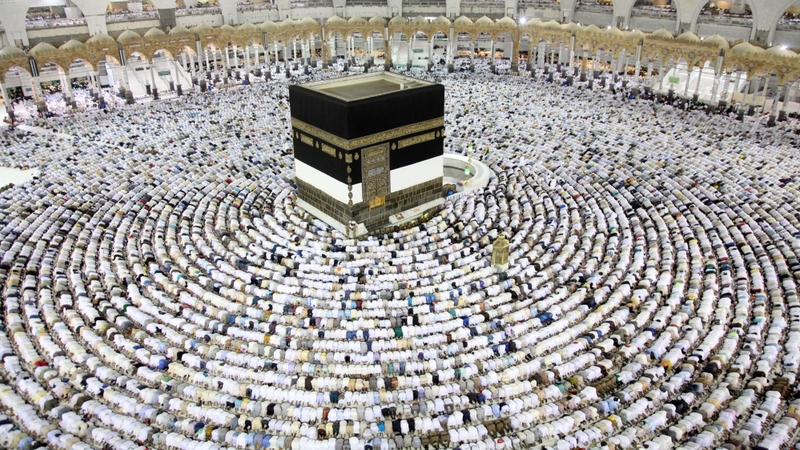 Saudi officials reject the accusations and accuse Qatar of trying to politicise the Hajj. Last week, Saudi Arabia’s leading daily, Okaz, ran a front-page calling on Qataris to choose between the ‘House of God” or the “Hamads”, a reference to the country’s former-Emir Sheikh Hamad bin Khalifa, and former-Prime Minister Sheikh Hamad bin Jassim. The Hajj is a religious pilgrimage for Muslims that must be carried out at least once in a lifetime by all who are physically and financially capable of undertaking the journey. The event takes place once a year and culminates in the festival of Eid al-Adha, one of the two major Islamic holidays. Next articleHow does recycling work in the United States?